Community leaders and academics gathered at a Brooklyn, N.Y., museum to discuss the state of Jewish life on university campuses in the United Kingdom. Rabbi Eli Brackman, co-director of Chabad of Oxford and chairman of Chabad on Campus UK, opened the evening reception at the Jewish Children’s Museum in Crown Heights. He took note of the unprecedented growth in the number of Chabad-Lubavitch centers serving UK students, made possible through the financial contributions of philanthropist David Slager. The annual Gan Israel Lubavitch Day Camp of Stamford Hill, London, kicks off for its 50th year in just over a week on Monday 4 August. 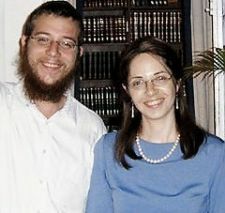 Camp directors Rabbi Shmuly and Chanah Karasik of Crown Heights, New York, have been running the North London day camp for the past two years. "This year is a special year for our camp," explained Rabbi Karasik. "The camp is celebrating 50 years of bringing summers filled with fun, excitement and Jewish pride to children from across London." Camp organisers and counsellors are anticipating more campers than ever before. "Last year we had 300 campers and this year we’re expecting between 350 and 400," said Rabbi Karasik. Chabad of Buckhurst Hill hosted its monthly restaurant night attracting close to 140 diners from the local area. Each month Rabbi Odom and Henny Brandman, with the help of local community members Neil and Alison Cohen and Andrew and Felisa Kennard, transform their Chabad centre into a glatt kosher restaurant. This month dinners flocked to the Chabad centre for a fantastic range of homemade Chinese foods. With no kosher restaurants in the local area, the of the local Jewish community have to travel to North West London if they want to eat kosher outside their homes. At present, plans to appoint a new chief rabbi in Ireland are on hold, partly for financial reasons, and partly, as the community can see that Chabad Rabbi Zalman Shimon Lent, is doing the job himself very efficiently indeed, writes Shira Yehudit Djlilmand in Mishpacha Magazine. The Jewish community of Ireland, mostly descended from Lithuanian immigrants, has never been large — at its peak in the 1940s the population reached around 4,500 — but has been consistently declining ever since, at least until 1992, when the census recorded 1,581 Jews. The completion of another successful year of studies at the Jewish Learning Institute of Leeds was marked last week at the Second Annual JLI Dinner. JLI Leeds chairman John Goodwin chaired the dinner and Sarah Doerfler brought spoke on behalf of JLI students with an incisive look back at the Soul Maps course. Guest speaker Rabbi Yehoshua Landes, a teacher at Manchester's King David High School, continued the theme of the Biblical Reflections course and took a look at the trials of our forefathers. Leed’s JLI programme has experience rapid growth since its inception two years ago. Rabbi Yossie and Chanie Alperowitz have just completed a million pound project, the new Chabad Centre in Bournemouth. After three years of holding services in rented accommodation while searching for suitable premises, followed by sixteen months of planning and construction, the Jewish community (population: 5,000) of this coastal town in Dorset celebrated the opening of the Chabad Centre’s doors this past Shabbat, July 10. Some 150 filled the Chabad Centre for a dual celebration as Tzvi Alperowitz celebrated his bar mitzvah. Rabbi Alperowitz described the achievement as "a dream has come true,” that will now make it possible to continue to "grow and expand the Rebbe’s work in Bournemouth." Expert fundraising consultant Rabbi Yisroel Brod delivered a seminar for close to thirty UK Chabad emissaries last week. Arranged by Lubavitch UK head office, the seminar forms part of a new fundraising initiative to support Chabad institutions in light of the recent global financial crisis. Rabbi Brod covered a number of areas including budgeting, project management and building relationships with donor to assist Chabad emisseries to create financially stable institutions. 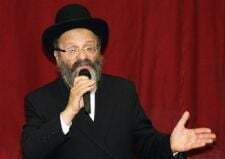 "It was informative and enlightening," said Rabbi Odom Brandman, co-director of Chabad of Buckhurst Hill in East London.